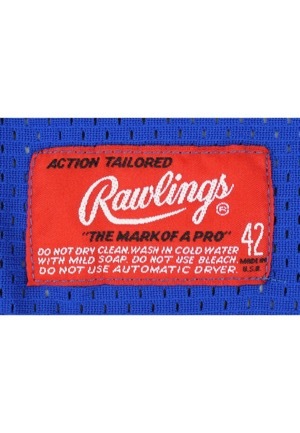 On the inside front left tail is the Rawlings manufacturer’s tag size “42” with washing instructions. On the left sleeve is a “Rawlings” logo embroidered in white on a blue strip tag. Across the chest reads “New York” in script style writing. 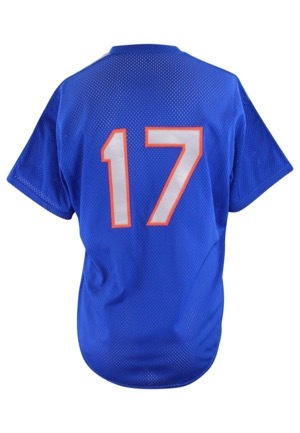 Adjacent below and on the back is the player number “17”. All numbering and lettering is done in the same grey on orange tackle twill. 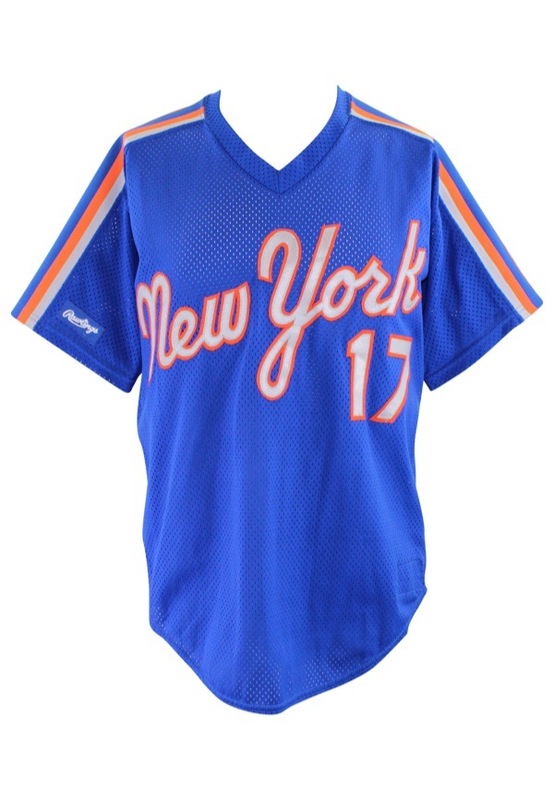 This jersey is properly tagged, was presented to us as Spring Training/Batting Practice worn and shows use.